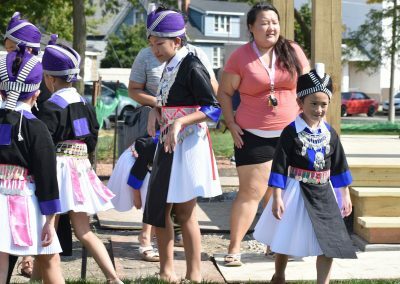 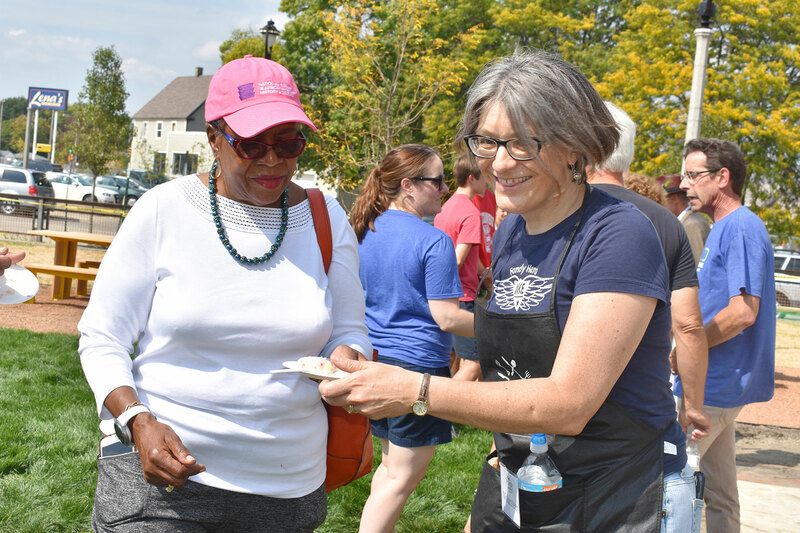 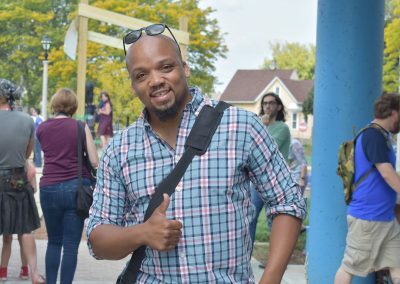 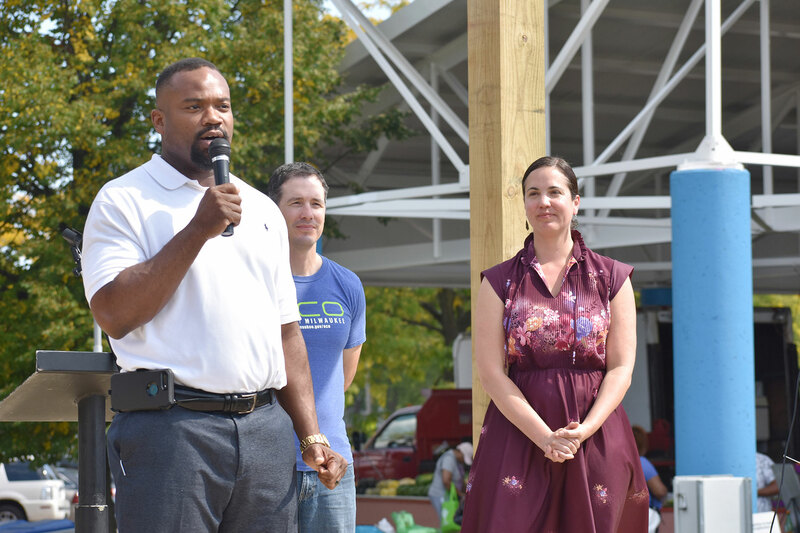 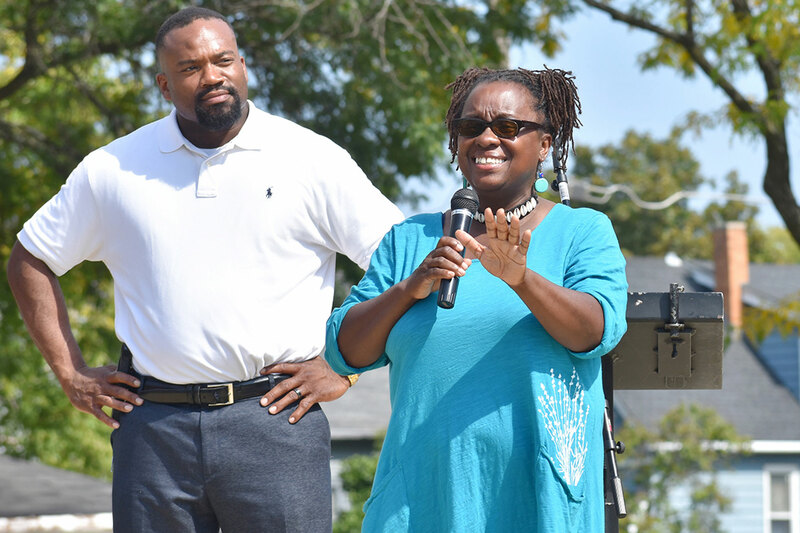 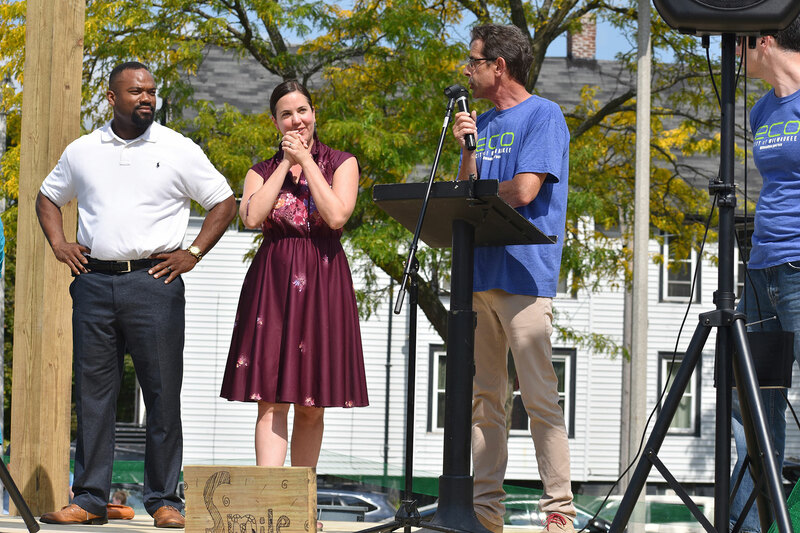 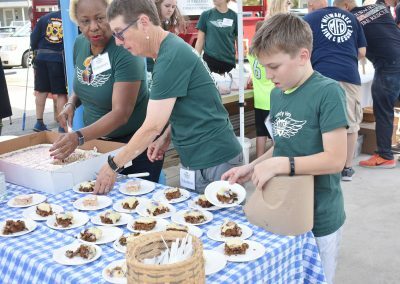 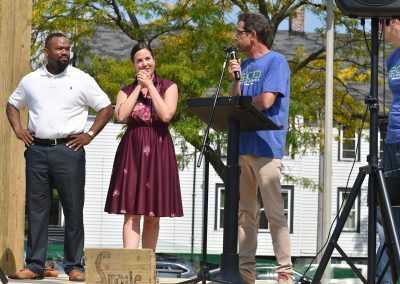 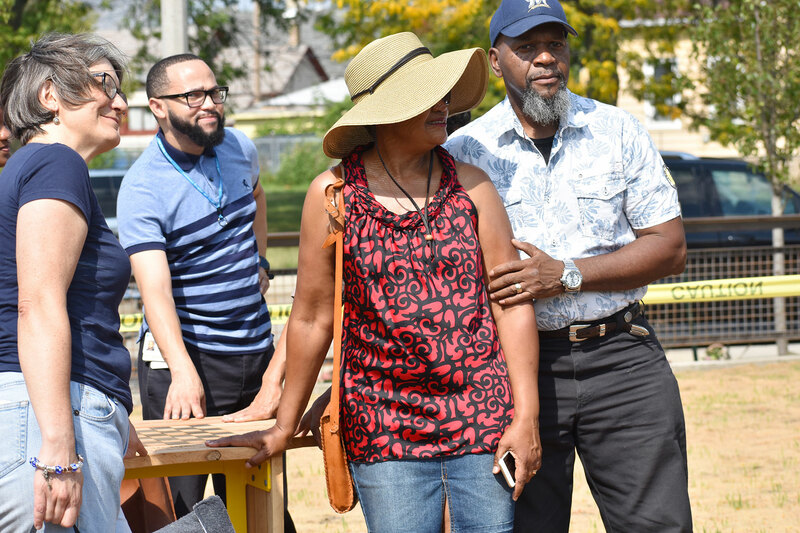 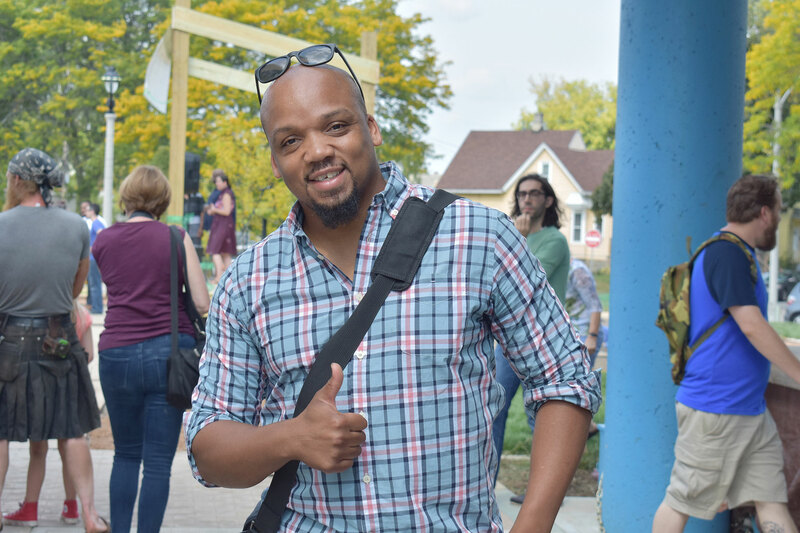 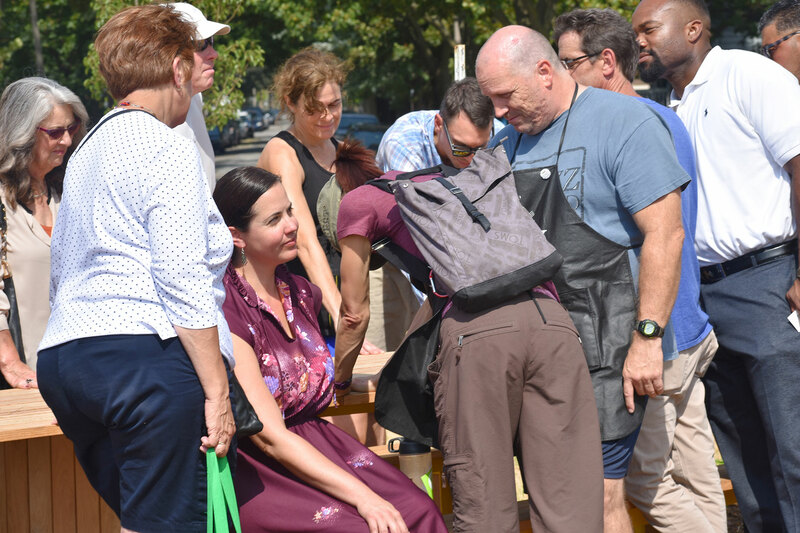 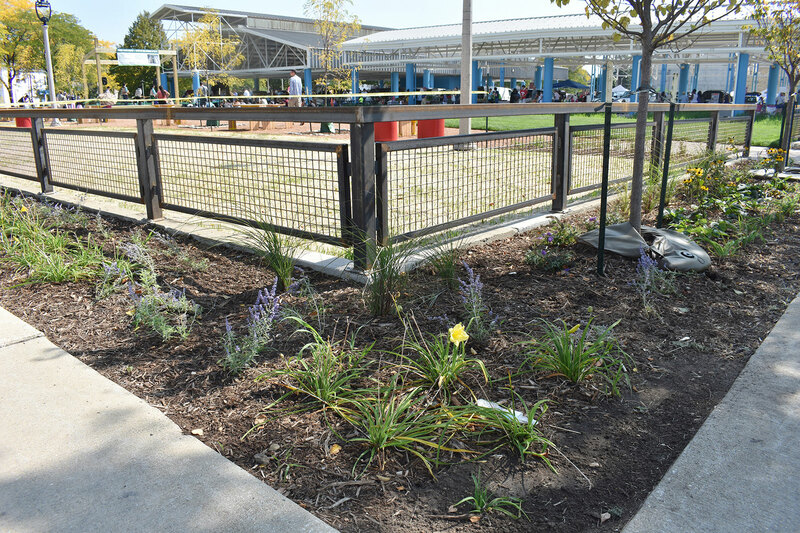 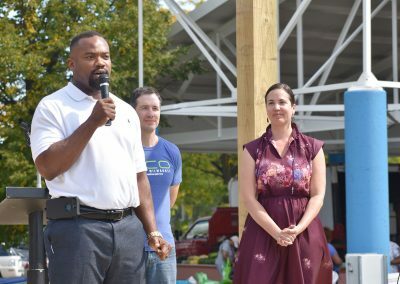 The City of Milwaukee’s Environmental Collaboration Office (ECO) and Fondy Food Center celebrated the grand opening of Fondy Park on September 16. 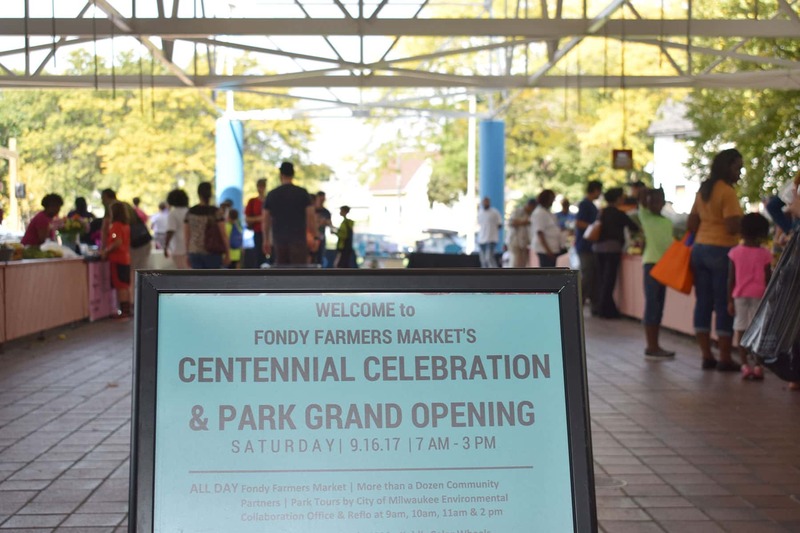 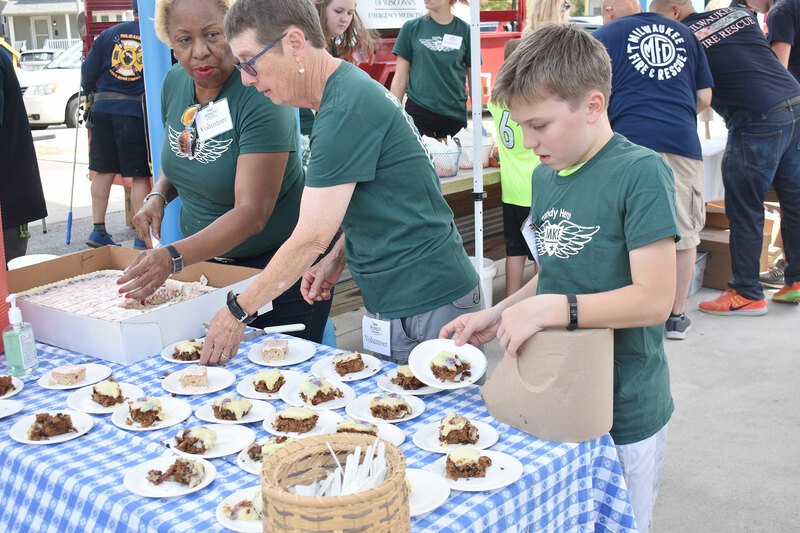 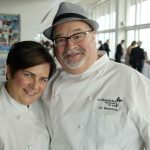 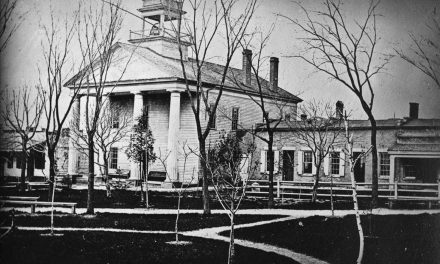 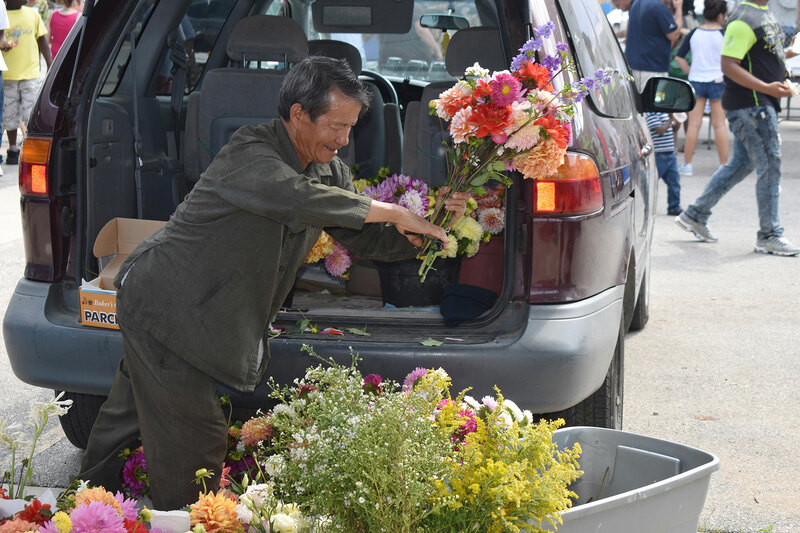 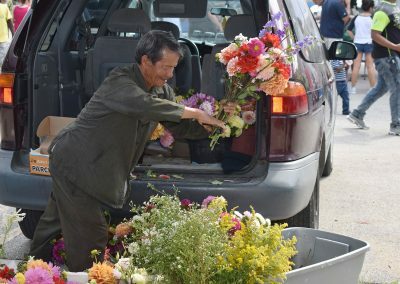 The full day of festivities took place at 2200 W. Fond Du Lac Avenue, and included the Centennial anniversary of the Farmers Market. 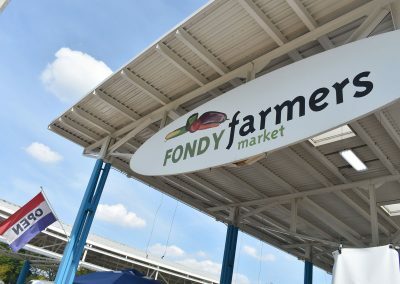 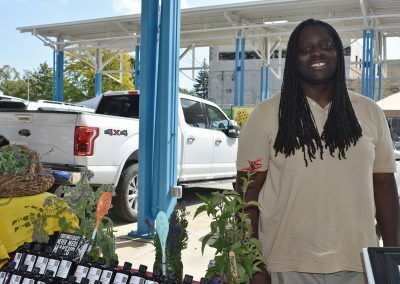 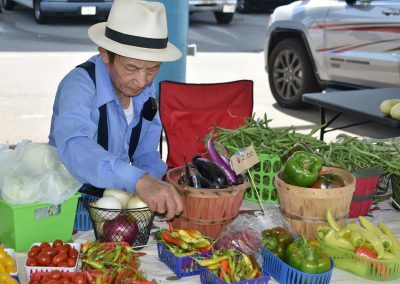 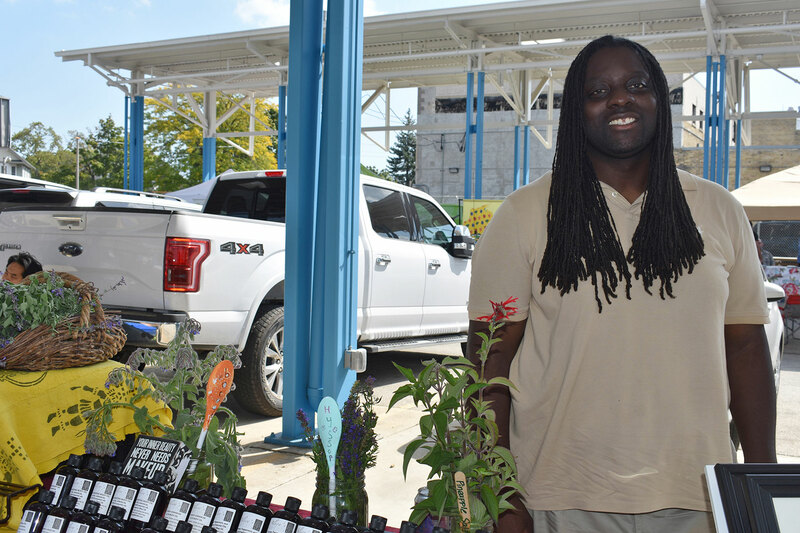 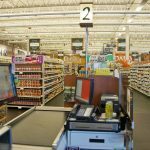 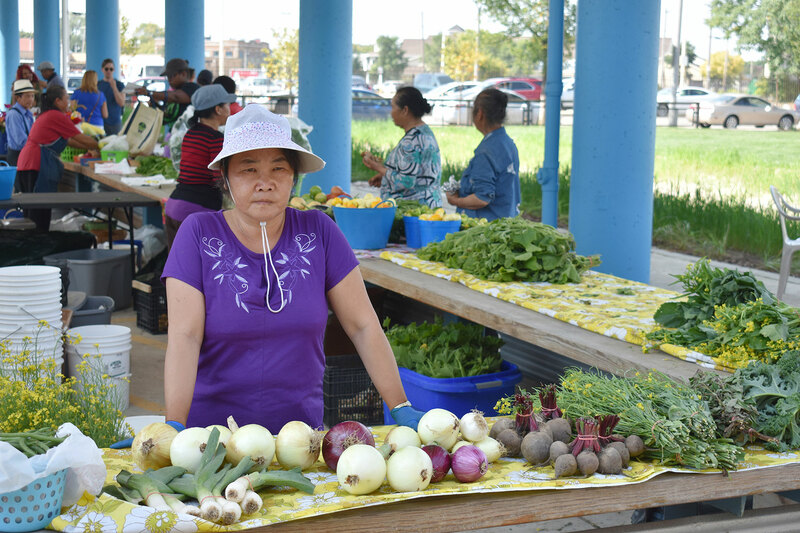 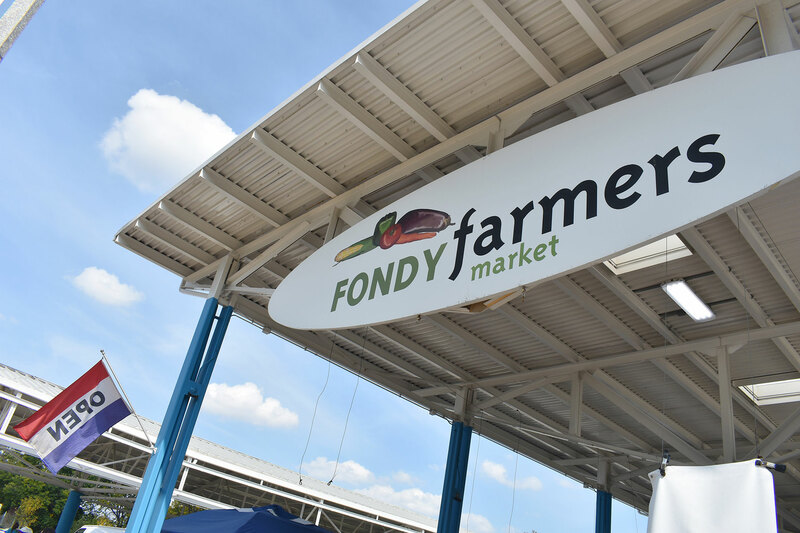 With a history that dates back to 1917, the Fondy Farmers Market has been suppling fresh produce to Milwaukee’s Northside. 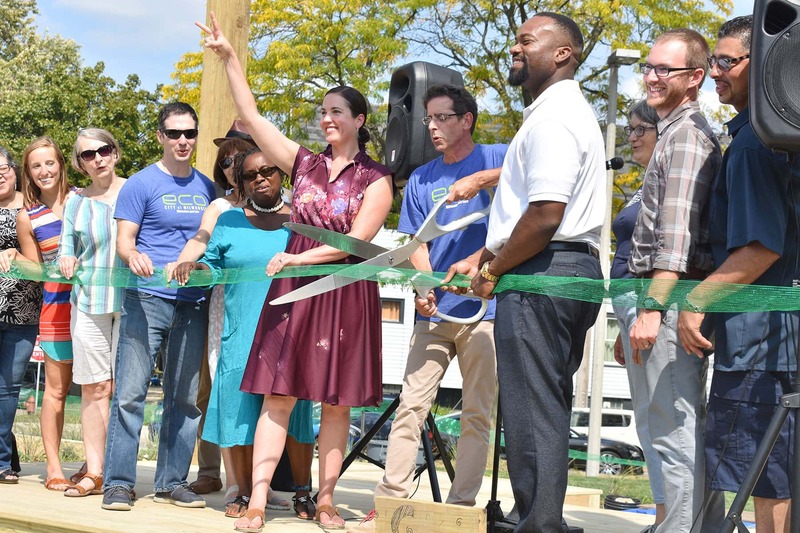 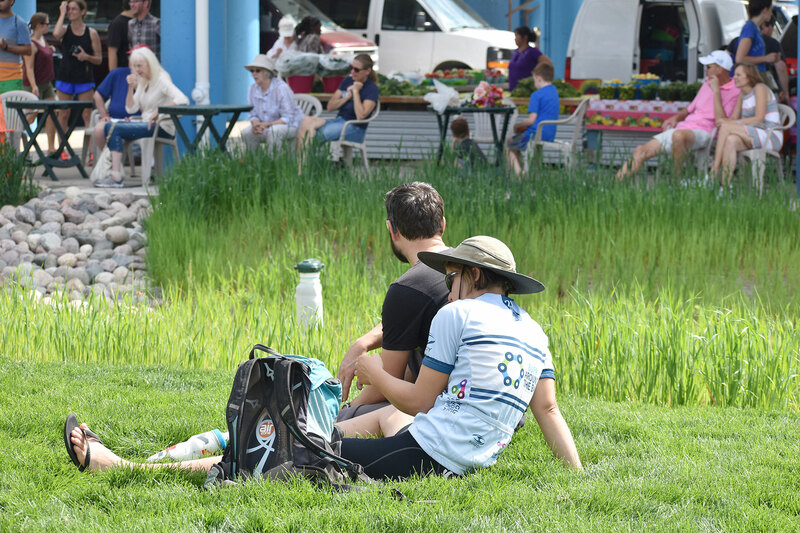 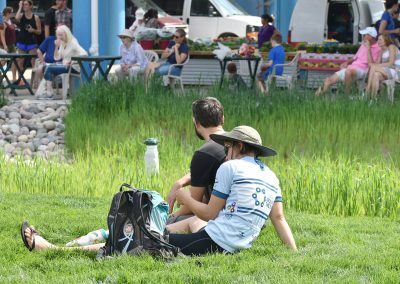 The vacant lot next to the market was converted into a storm water park and community green space through the city’s HOME GR/OWN program, which has been greenscaping North Avenue from 8th to 27th Streets. 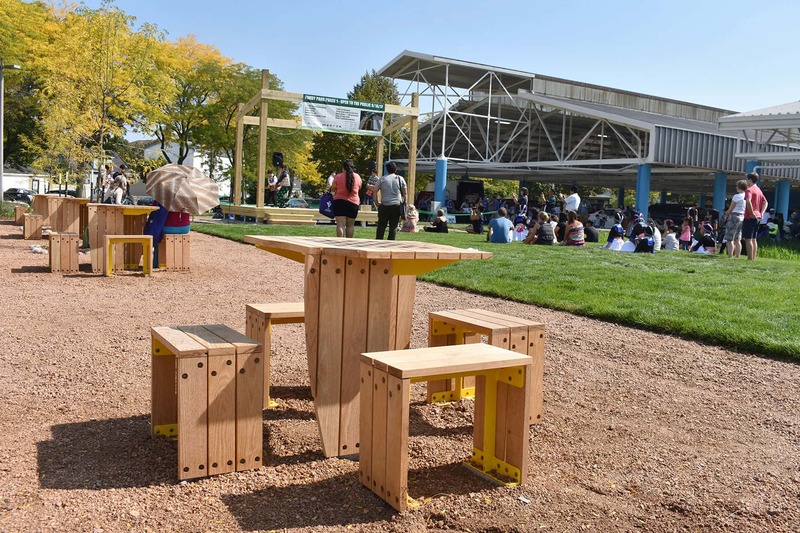 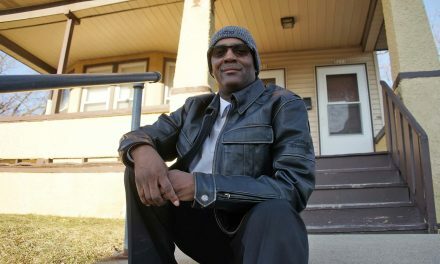 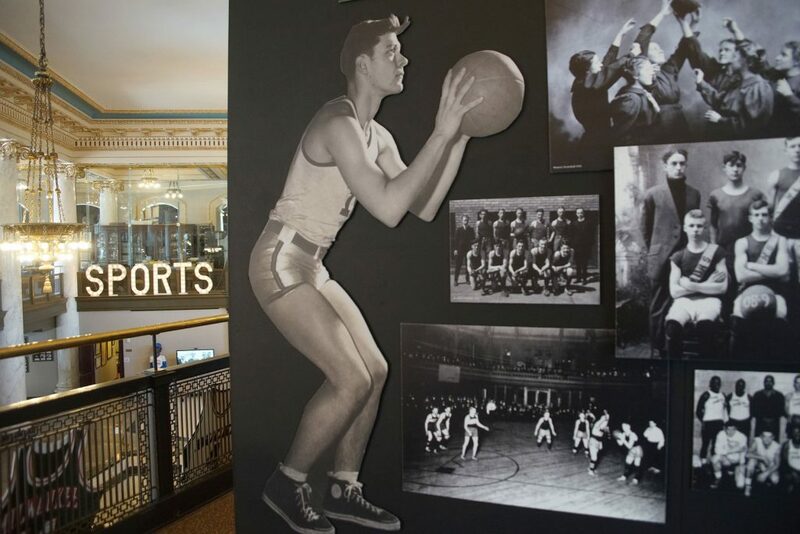 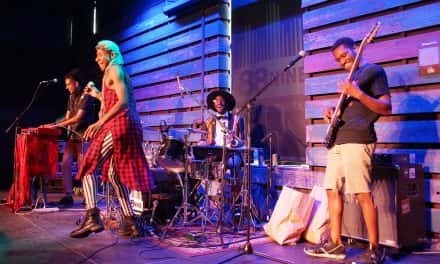 The inner city venue, developed by public and private partnerships, features a stage and makes Fondy Park a new concert venue for the Lindsay Heights and Park West neighborhoods. 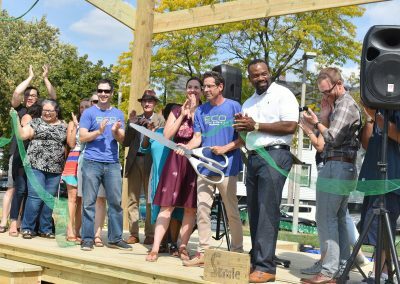 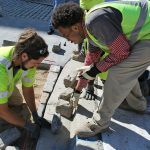 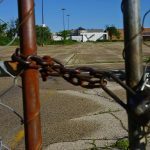 Fondy worked with City of Milwaukee’s Environmental Collaboration Office (ECO), Reflo, ReciproCITY, and many other partners to transform the vacant lot next to the market into a new eco-park and community gathering space. 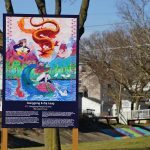 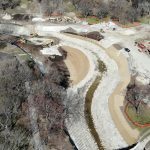 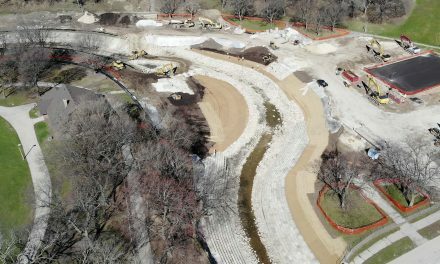 Designed as a sustainable storm water park to catch rainwater and keep it out of the sewer system, planning for Fondy Park began in August 2016. 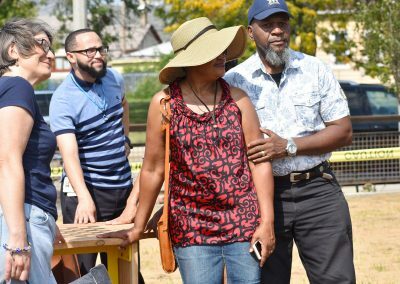 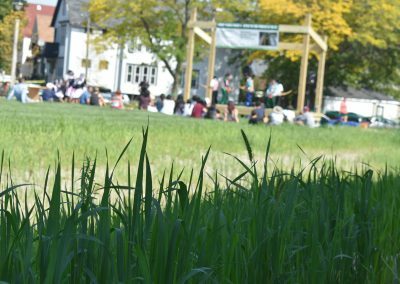 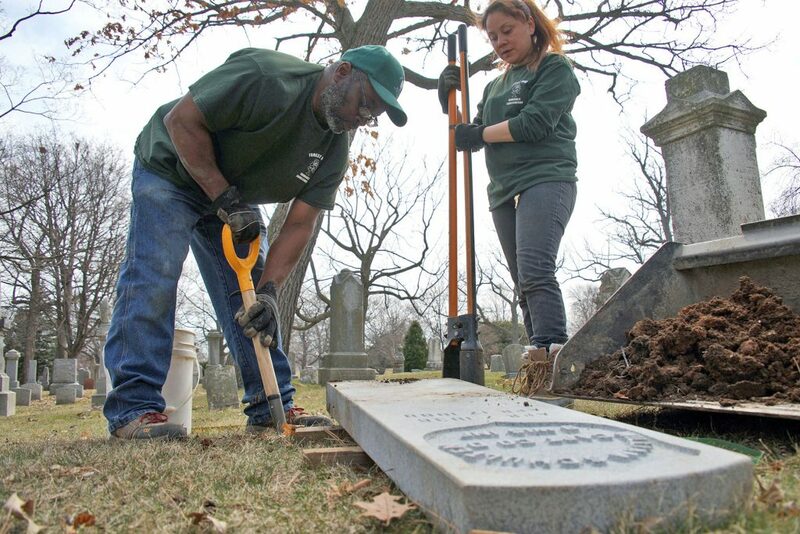 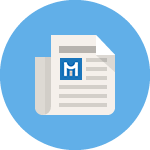 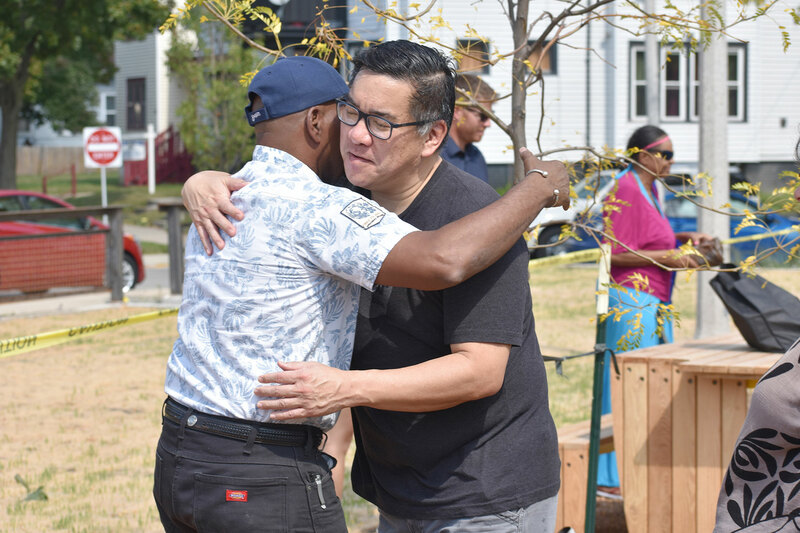 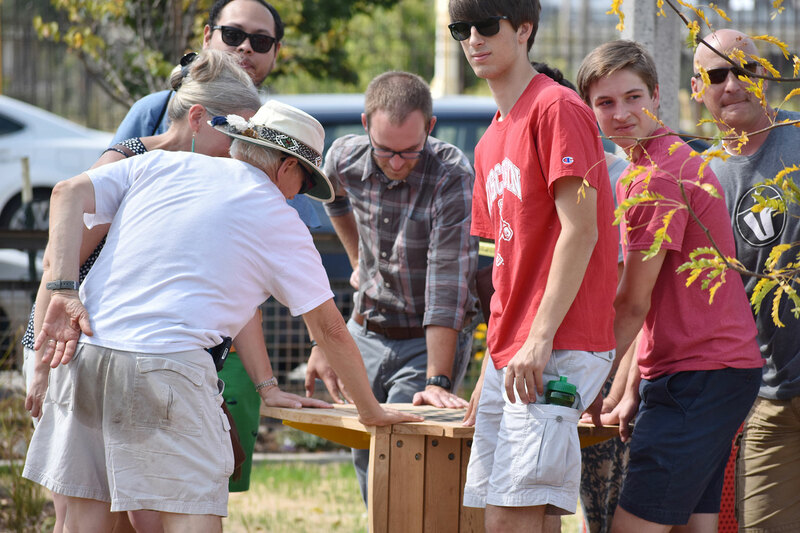 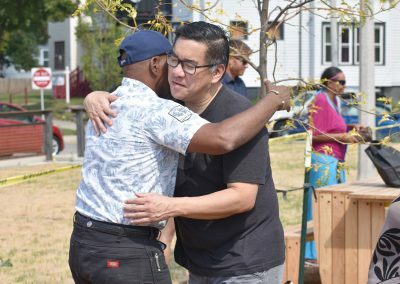 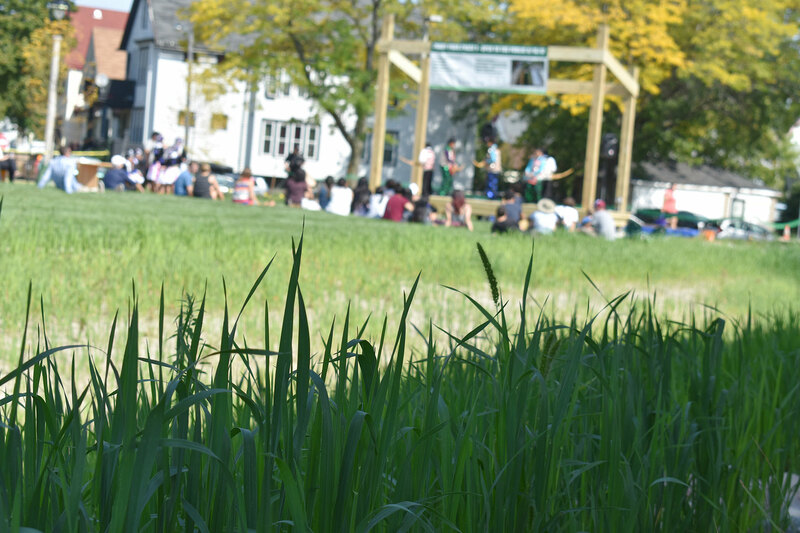 After extensive planning, prayer, and outreach, the once muddy brown lot was transformed into a state-of-the art green space that cultivates healthy soil. 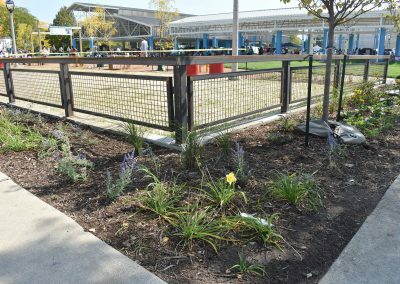 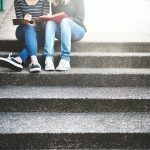 The layout was a juxtaposition of concrete and metal, with hand-crafted wooden tables and hand-planted grass to create an urban balance. 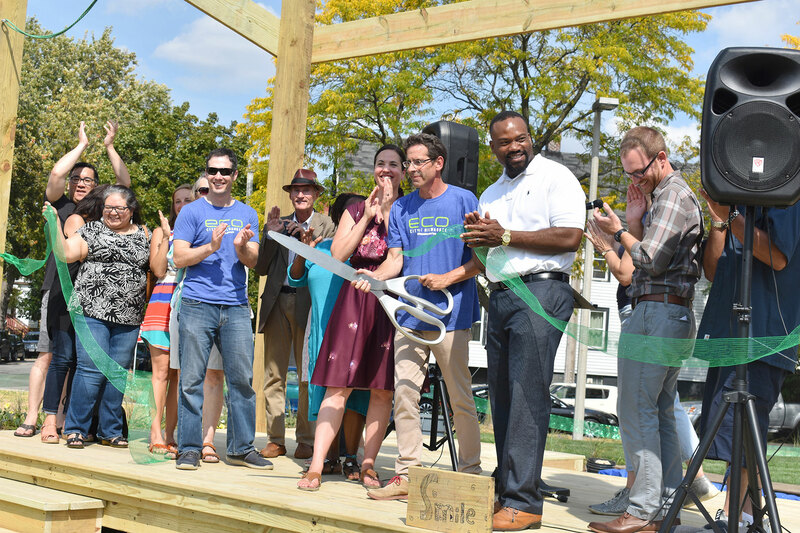 After the opening ceremony’s ribbon was cut, Venice Williams of Alice’s Garden took the stage and talked about the evolution of the lot. 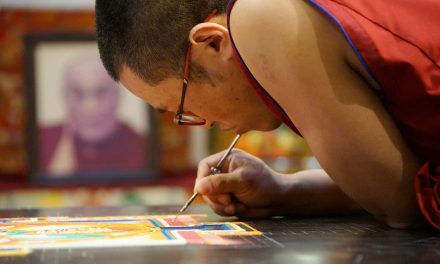 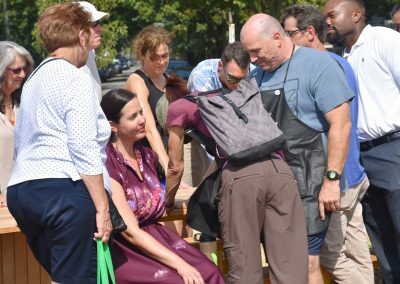 She offered prayers over tables, and talked about her conversations with locals who were searching for a more healthy lifestyle. 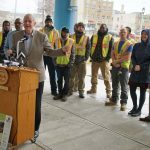 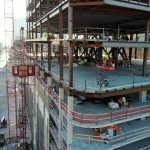 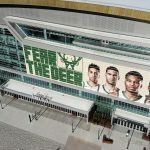 Phase 2 of the park will produce more development of the space, including a roof-mounted solar system, provided by ECO’s Milwaukee Shines, that will provide power for the stormwater system and battery power for lighting and events requiring electricity.